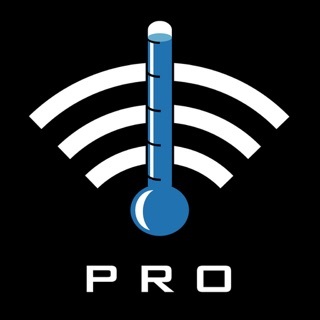 Track temperatures from Signals, BlueDOT, and Smoke Gateway on your smart device. BlueDOT utilizes your smart devices' Bluetooth to receive information with a communication range up to 95-feet line-of-sight. You can connect up to 6 BlueDOT devices to ThermoWorks BBQ app to set alarms, track min/max, and collect graph data. Smoke Gateway connects to the internet via Wi-Fi to transmit and store information in the cloud. This allows ThermoWorks BBQ app to review your temperatures, receive alerts, and view graph data from anywhere. Signals uses both Bluetooth and Wi-Fi, which allows for easy setup and different modes of connecting to Signals, so you can track your cook in any situation. Bluetooth allows you to connect directly to your phone or tablet, up to 95-feet line-of-sight, so you can use Signals if there is no internet connection. Wi-Fi allows you to track your cook through the internet and cloud from anywhere. Signals switches automatically between the two to give you the best experience. You can connect multiple Signals, Smoke Gateway, and BlueDOT devices to ThermoWorks BBQ app simultaneously, giving you an overall dashboard of your temperatures. Signals, BlueDOT, or Smoke by ThermoWorks & Smoke Gateway. 2.4 GHz Wi-Fi Network with Internet Connection for Smoke Gateway and Signals. I recently purchased the Signals device. Until now I’ve been using the Weber iGrill. The decision to go to the Signals product was the ability to connect via Wi-Fi. The Bluetooth range of these types of devices is not that good. I had to work some magic to monitor overnight smokes with just Bluetooth. Wi-Fi makes things so much easier. I feel for all the cooks who didn’t have this convenience even a few years ago. This app works good now that I have it figured out. Coming from the Weber app things are similar, just some information is in different places. For example trying to monitor the battery charge of the unit I think takes too many steps. I think that important information should be readily available on the home screen. One thing this app needs badly is an AppleWatch companion app. Again see the iGrill app. That is an example of a watch app done right. In summary, if you cook on the grill you need a trusted thermometer. In this day and age it should be Wi-Fi compatible. Signals is an excellent option offering quality hardware and a pretty good app to go along with it. 1 star for the unit that works as intended, but have been through 3 meat probes in 1 year. 1 star for the app. A pain to sync. PAINFUL, then it still says failed. I have tried everything and pretty much have given up. My fireboard arrives tomorrow and I look to have a better experience. I am outside of the USA so I don’t know how the exchanging and warranty works. My smoke was a gift and I got the gateway immediately on release. I second "cool idea, poor execution"
Not a professional app. Does give temps. Graphs were poor in previous revs and now they seem worse. To get an updated graph, you need to clear away the app (swipe up) and then restart. Even then, the crude graph give good data for a bit and then just a flat line. Swipe up and start over. I complement Thermoworks on their hardware, very professional and solid. Their software, not so much.